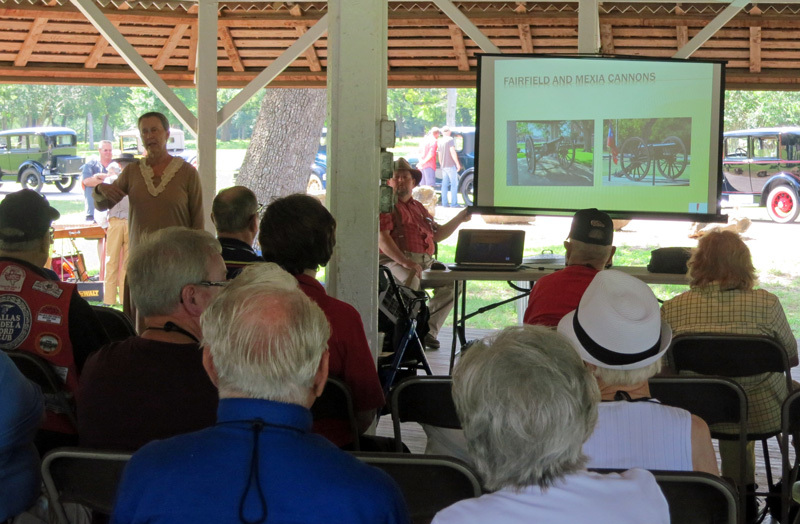 Summer events at the site revived the camaraderie experienced by Civil War veterans during their summer camp meetings here, which began in the late 1800s. 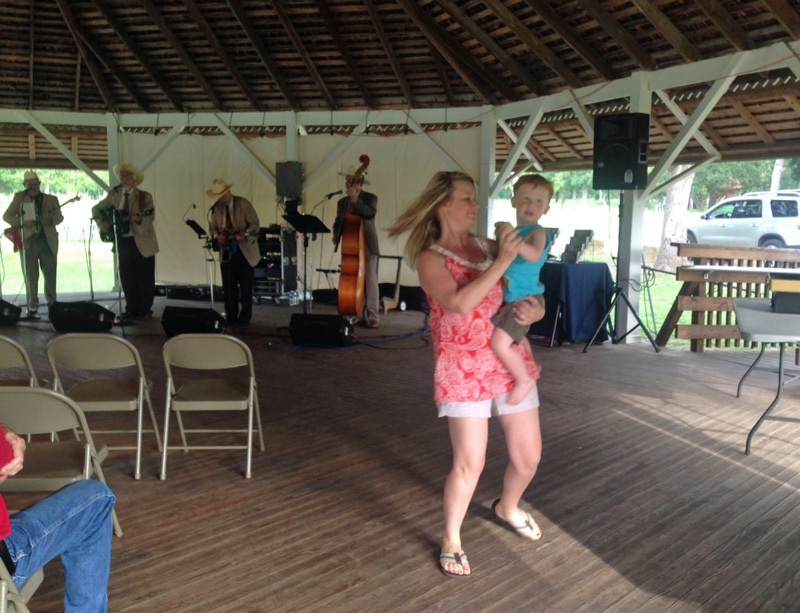 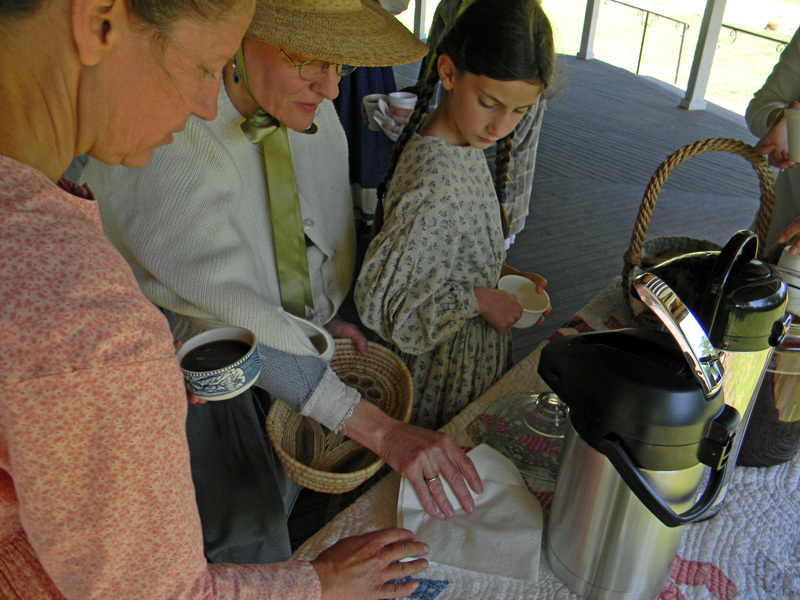 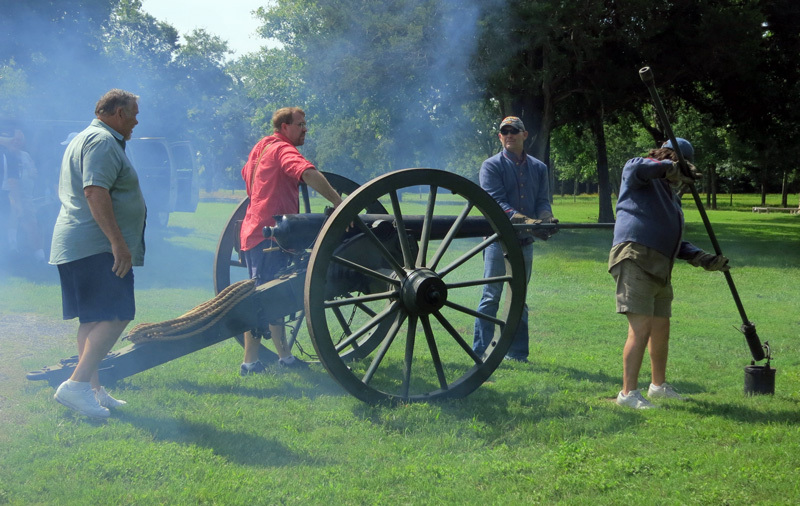 From coffee, cobbler, and ice cream to cars, cannons, concerts, and Chautauquas, visitors have engaged in both conversation and contemplation steeped in Texas and Limestone County history. 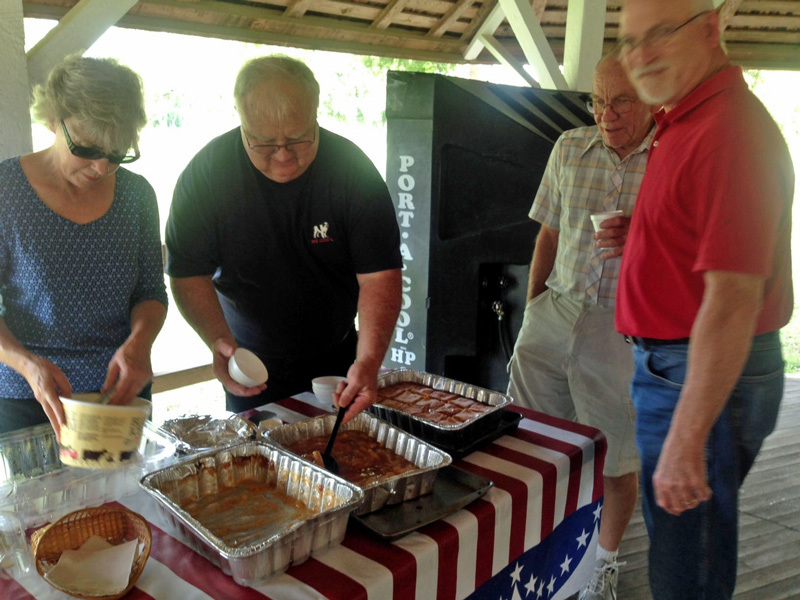 Scroll through the photo gallery below to get a glimpse of all that happened. 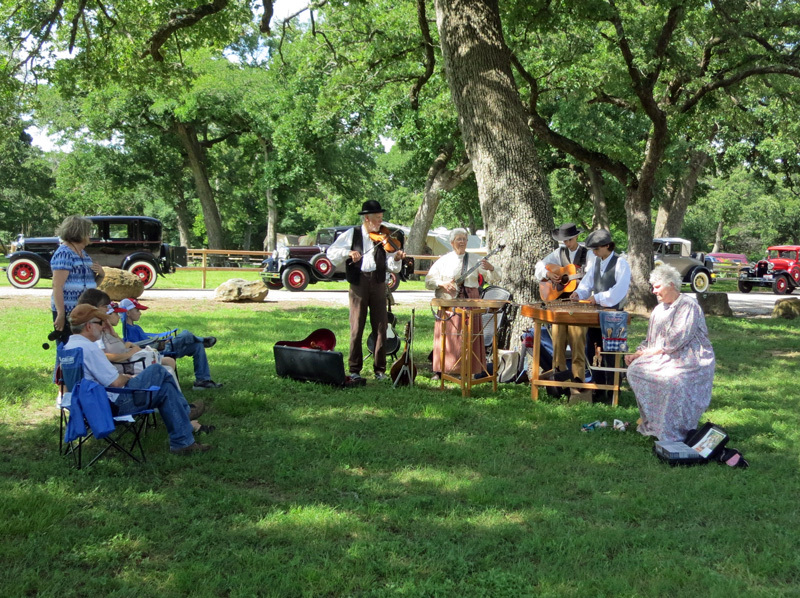 Join us for upcoming events and educational programs over the next year, including Humanities Texas exhibitions, Chautauquas, historic gardening days, live bluegrass music, living history, and much more. 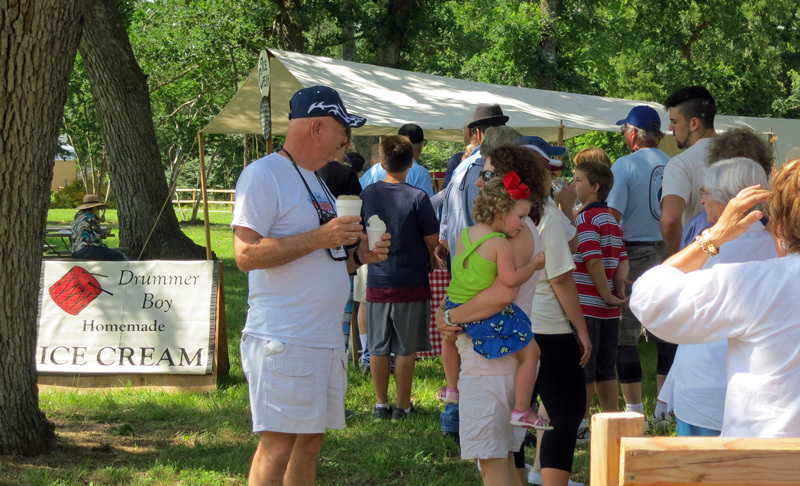 Print our Schedule at a Glance (PDF) calendar for easy reference. 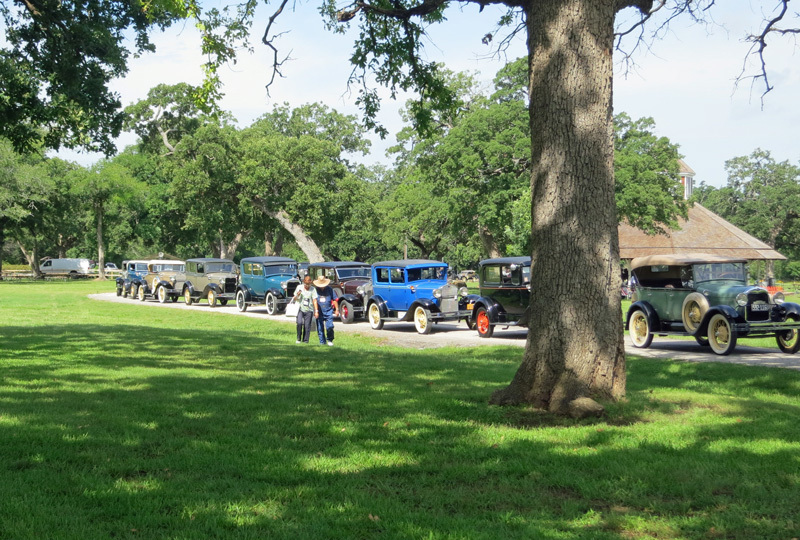 What a sight to see 65 antique cars circled around the 1893 dance pavilion as the Dallas Model A Ford Club arrived at the site on a beautiful June morning. 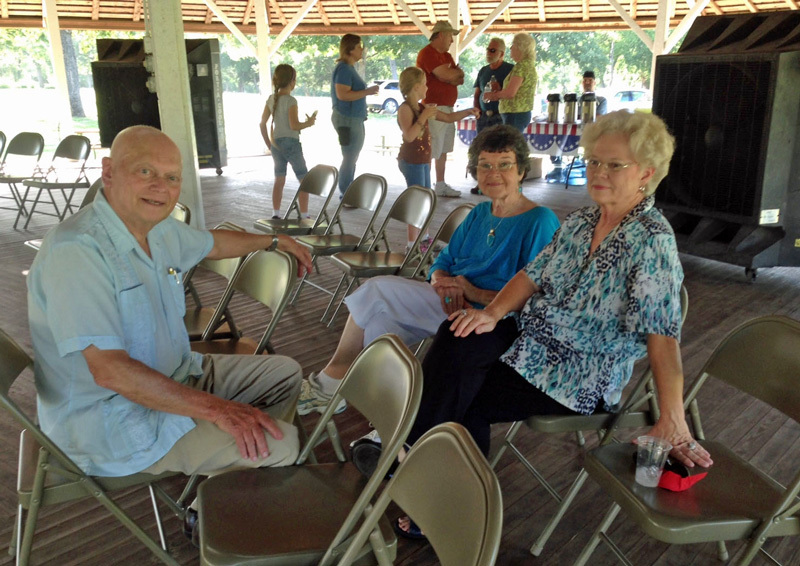 The cars’ owners invited visitors to inspect and inquire about the restorations of these classic examples of a bygone era.